Throwing away those credit card offers, bank statements and other personal mail without shredding it all first is a risky proposition. Maybe that’s alright for the gamblers out there, but we prefer to keep our identifying info safe and obscured. The problem with having a document shredder in the office is that they’re super-ugly and using them once a month doesn’t seem to justify the cost. 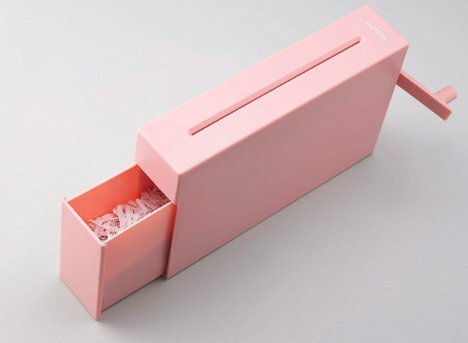 The impossibly adorable Manual Shredder designed by IDEA International is a totally different aesthetic for the document destroyer. 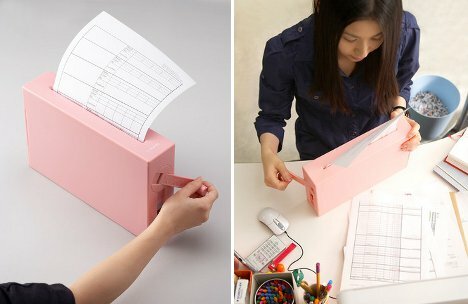 It’s powered entirely by a hand crank so it’s quiet, and its plastic construction makes it look more like a kids’ toy than a serious office tool. But make not mistake: this cross-shredder really does tear it up when you need it to. We can deal with the $42 price tag since this shredder can slide right onto the bookshelf or even sit right out on the desk without looking really unpleasant. The cranking arm folds down flat, allowing the shredder to look just like a small plastic box when not in use. 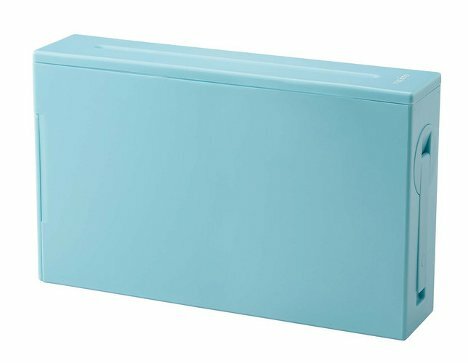 Plus it comes in a variety of colors, including pink – so if you must outfit your home office to look like a cotton candy dreamscape, you won’t have to compromise on account of a stodgy old document shredder.